Sai Dharam Tej, the nephew of Chiranjeevi, is all set to make his debut in YVS Chowdhary’s upcoming film Rey. Already, this new entrant from Mega family has impressed filmmakers in the industry with his humble attitude and dedication. Moreover, sources close to the film unit of Rey have vouched for his dancing skills. The film has been in the pipeline for many months, but it finally looks like that YVS Chowdhary is going to roll out a red carpet for Sai Dharam Tej’s grand debut. The latest news is that Pawan Kalyan is going to attend the audio launch of Rey. The event is going to held in a grand way in the first week of December and several other heroes from Mega family are also expected to attend the event. In the past, Pawan Kalyan was the special guest at Naayak’s audio launch and after a long time, fans can expect a lot of jubilation at the audio launch of Rey. 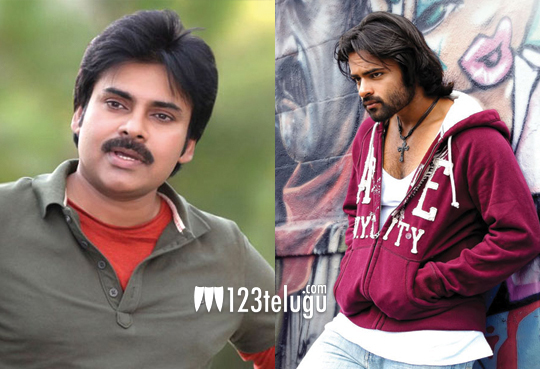 Rey stars Sai Dharam Tej, Saiyami Kher and Shraddha Das in lead roles. This musical love story is set in the backdrop of Caribbean Islands and US. Chakri has scored the music. The film is expected to hit the screens soon.